The history of Russia, the world's largest nation--from its early beginnings in the ninth century when Rurik, a Varangian king, established the first Russian state near Kiev, to the current presidency of Vladimir Putin--is extensive and fascinating. Detailing the social, economic, and political changes and crises that the people of Russia have had to endure, A Brief History of Russia provides a comprehensive and accessible account of this vast country's history. 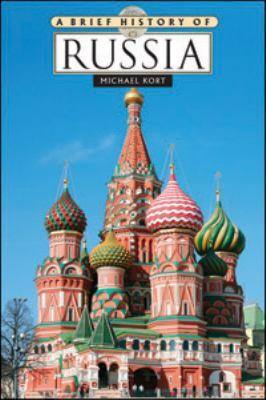 A chronology, bibliography, suggested reading, and other helpful features enrich this invaluable book.Kort, Michael is the author of 'Brief History of Russia' with ISBN 9780816071135 and ISBN 0816071136.